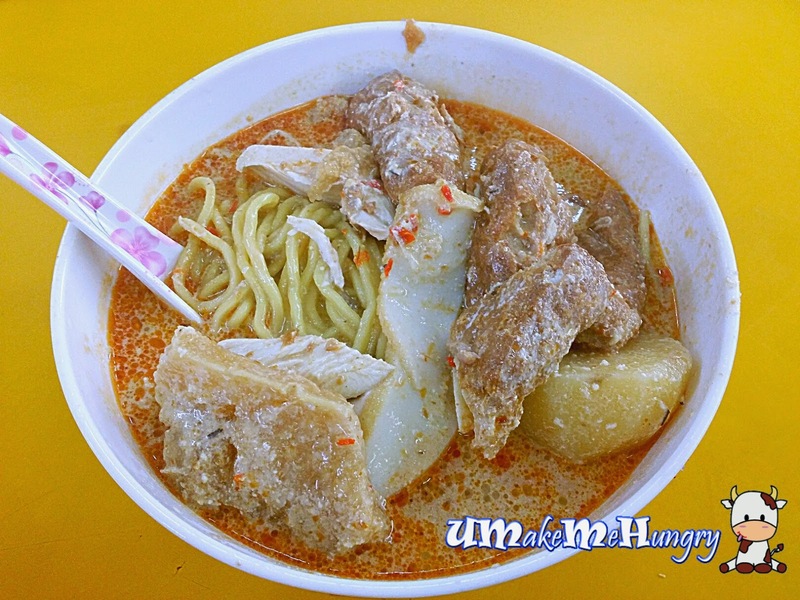 Hainan fried Hokkien Prawn Mee? It sounds unusual to me but it had been raved among others. 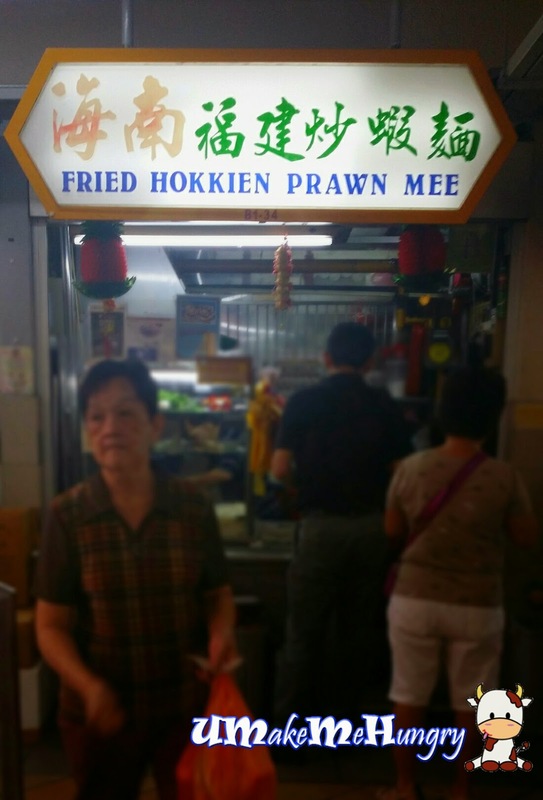 So let us check out how a Hainan Man has changed the destiny of an usual plate of Fried Hokkien Prawn Mee into. The plate of Hainan Fried Hokkien Prawn Mee has a slight tweak as compared to the usual Hokkien Fried Prawn Mee. 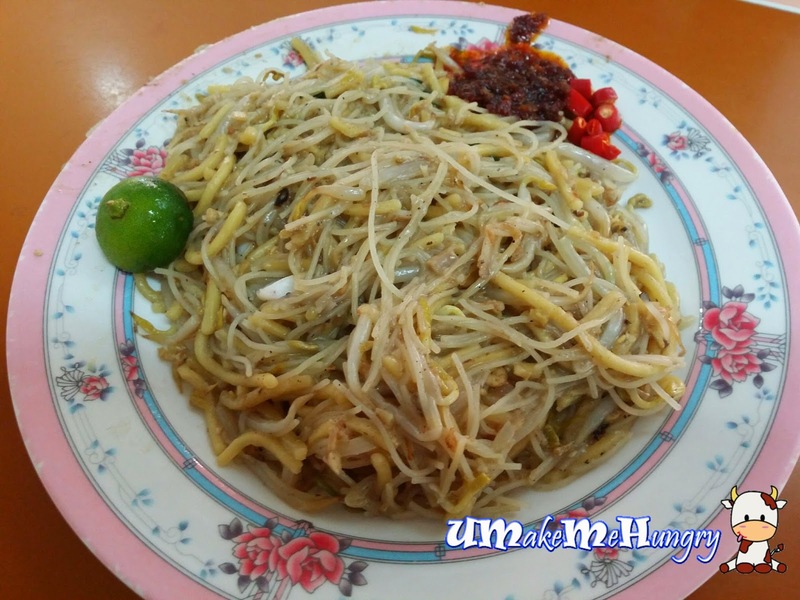 There is a distinctive use of thinner bee hoon rather than the usual thick bee hoon. Though it looked very dry and was not that appetizing initially, I was all wrong. The first mouthful had been very impressive , giving me the "wow" factor. Prawn stock had amplified the taste in which every strand of noodles had absorbed it well. Together, it strike a good balance in the wetness, and its neither dry nor wet. Additionally, a strong wok-hei from both noodle and bee hoon had given an oomph in the dish! In conclusion, it is one of the best hokkien prawn mee that I have eaten. However towards the end of the meal, it find it a little bit dry.